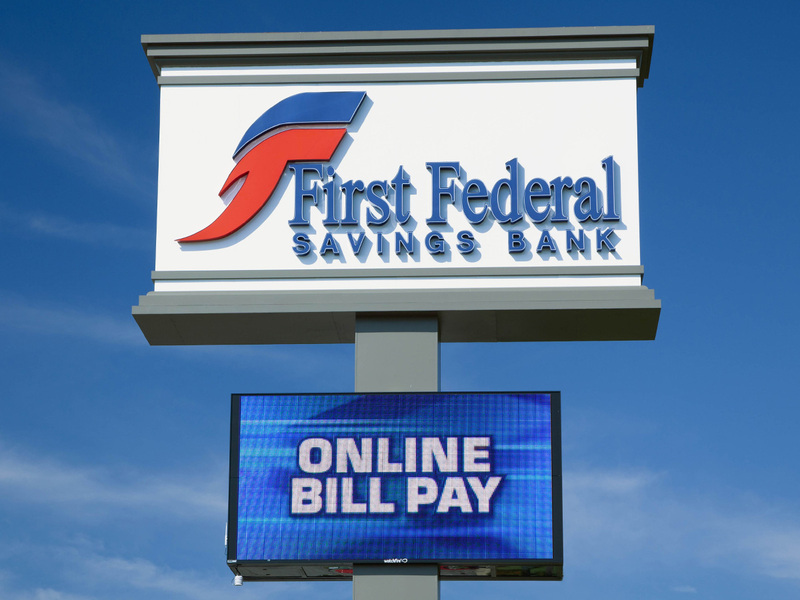 Banks and financial institutions have long been at the forefront of the digital signage trend, and Watchfire has been there each step of the way. 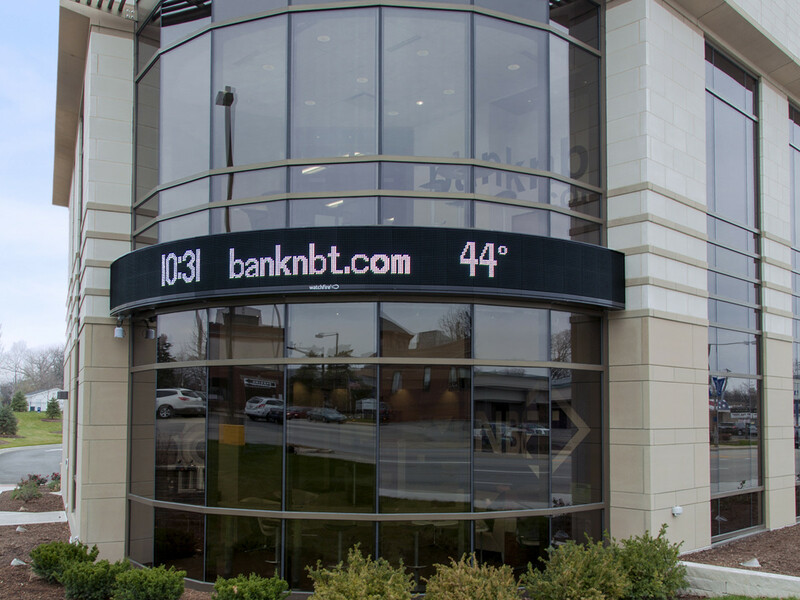 Watchfire designed the original "bank sign" - a time and temperature sign that served as a landmark for financial institutions across the country since it's debut in 1951. 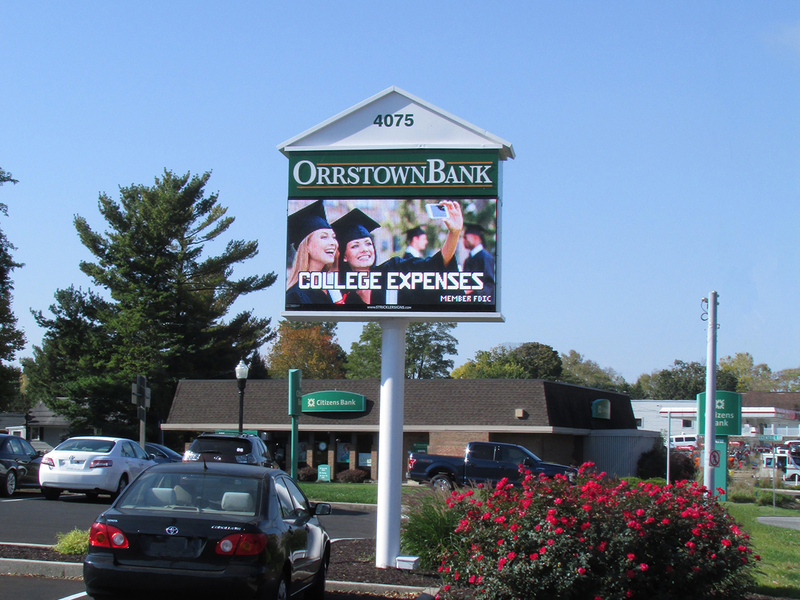 Today, technology has evolved and banks are once again on the leading edge of the digital signage trend. 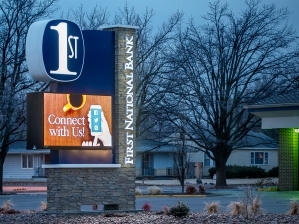 Imagine being able to advertise your latest interest rates and mobile banking tools instantly and for far less than you would spend on a traditional advertising campaign. 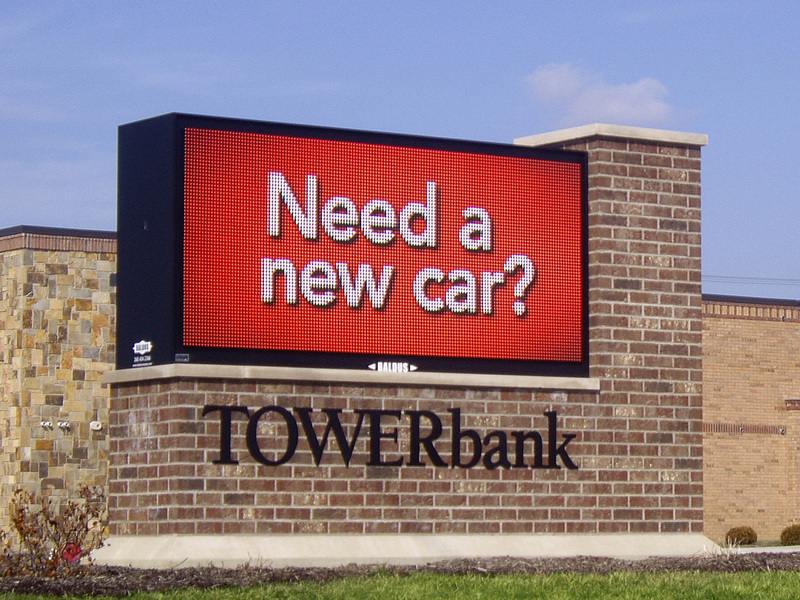 Full color, high resolution LED signs are a secure and cost-effective advertising tool that increases foot traffic and boosts profit. 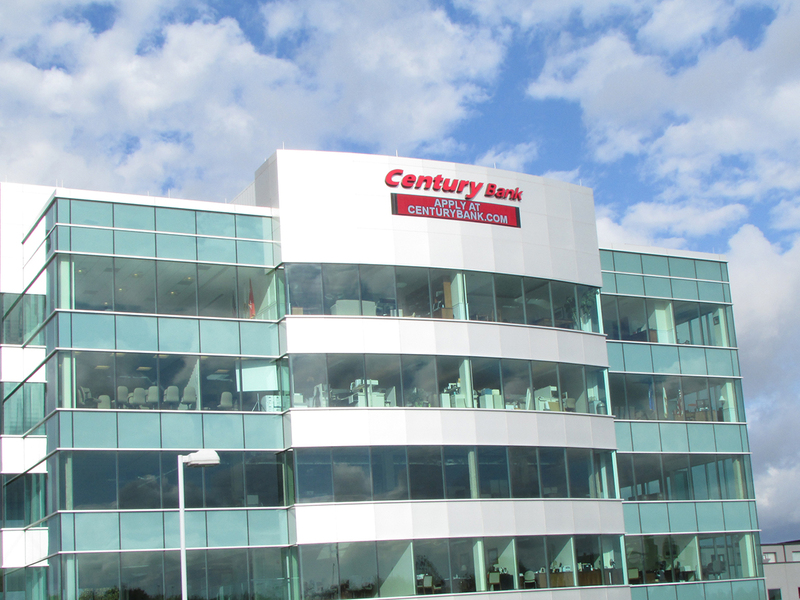 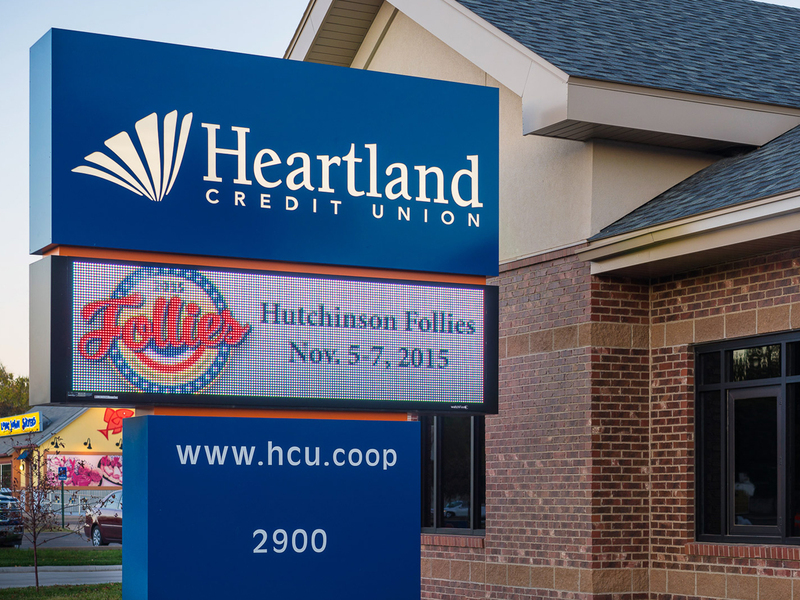 A Watchfire LED sign offers your bank a flexible and dynamic adverting tool unlike any other. 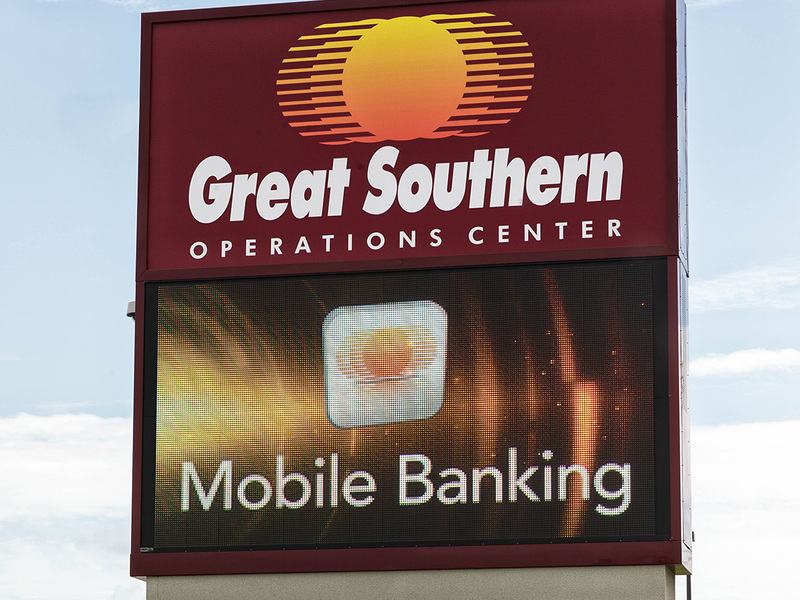 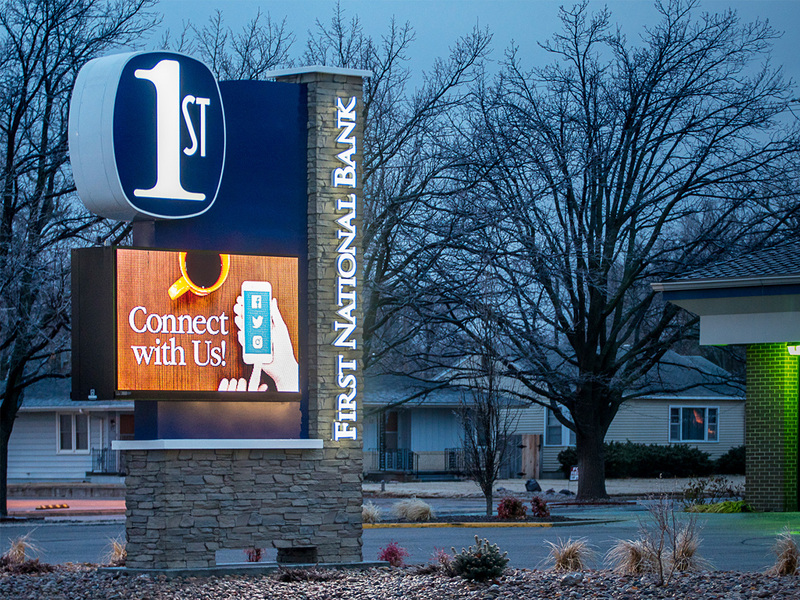 From smart, efficient advertising to a modern image and landmark status, an outdoor LED sign provides incredible benefits for your financial institution. 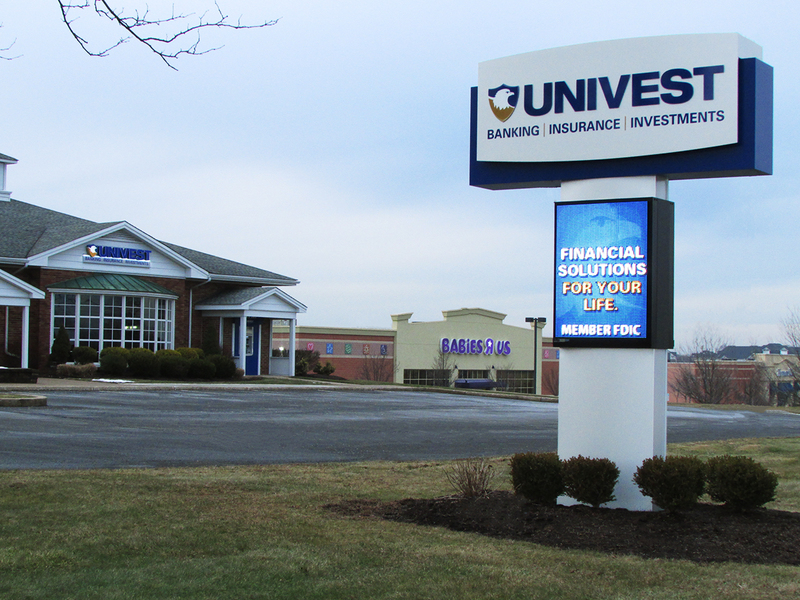 Orrstown Bank; 12mm, 5'5" x 11'1"
White Rose Credit Union; 19mm, 4'5" x 8'3"
First National Bank Hutchinson; 10mm, 4'5" x 7'3"
Univest Bank; 12mm, 4'5" x 3'3"
Tower Bank; 16mm, 4' x 8'2"
Century Bank; 19mm, 37" x 20'10"
Litchfield Bank; 16mm, 5'5" x 7'3"
Pioneer Bank; 12mm, 2'5" x 54'11"
Heartland Credit Union; 19mm, 3'5" x 11'3"
Determine your signage ROI with a free site analysis. 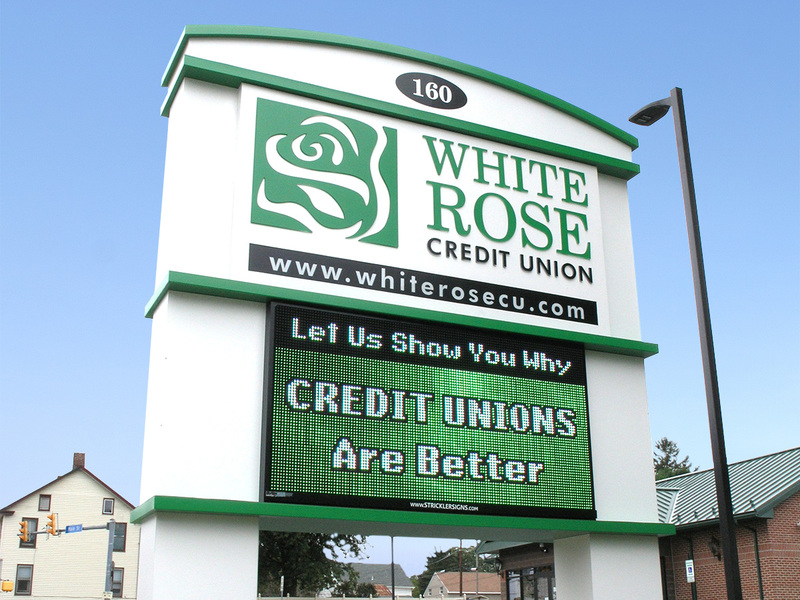 White Rose Credit Union, established in 1950, is a state-chartered financial services company with 11,000 members and five locations in York and Adams counties in Pennsylvania. 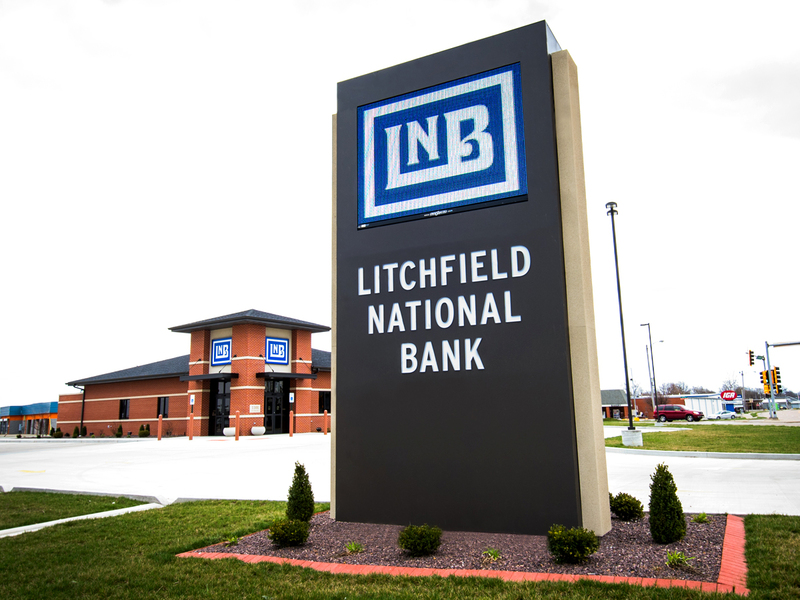 The organization’s mission is to support its members and communities, so its branches regularly partner with local community groups including the Red Cross and the York Food Bank. 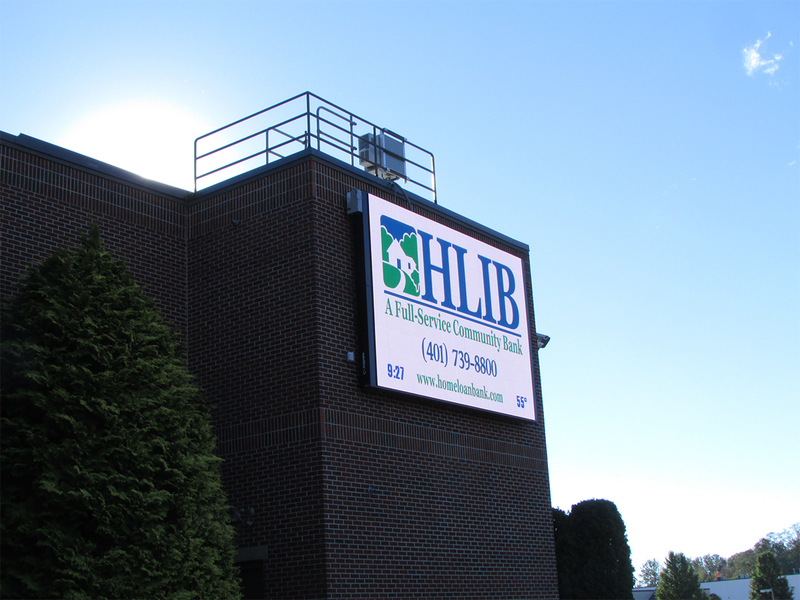 Find a sign company in your area.